The Association for Supervised and Clinical Pastoral Education in Victoria Incorporated acknowledges with great sadness the news of the death of Margaret Sangster on December 2017. Margaret was accredited as a Pastoral Supervisor in 1991 and worked under the direction of David Stark at the Peter MacCallum Cancer Centre for CPE, then at the Repatriation Centre for several years, with David Stark, Allison Whitby and Jenni Wegener. Jenni also invited her to co-supervise in several units at the Royal Melbourne Hospital in the early 2000s until her retirement from CPE supervision. Margaret was important in the formation of many pastoral carers and offered her wisdom and collegiality to the supervisors with whom she worked. A tribute for Margaret Sangster is below. The Association for Supervised and Clinical Pastoral Education in Victoria Incorporated acknowledges with great sadness the news of the death of The Reverend Roy Algernon Bradley OAM on Saturday 26 August, 2017. Roy was 91 years of age. Roy died suddenly following a very brief admission to the Austin Hospital. Roy had met with his supervisory peers for lunch on the previous Thursday. Roy continued to be committed to Clinical Pastoral Education to the last, attending the functions and activities of the Association as much as he possibly could. Roy's last attendance at the Peer Supervisor Education Group on 24 June at Peter MacCallum Cancer Centre, his first visit to the new Centre since its re-location in June 2016, is a memory I will personally treasure. Roy was the founding father of Clinical Pastoral Education in Australia and New Zealand, beginning CPE at the Austin Hospital in Heidelberg, Victoria in 1967. Roy has continued to be a mentor and inspiration to so many since that time. Our deepest sympathies are extended to Roy's wife Margaret, and to their children, grandchildren and great grandchildren in their deep loss. In a thank you card for the occasion of his 90th birthday Roy wrote, "My involvement in CPE has brought me much joy particularly in the relationships with so many peers." Please find attached the eulogy given by Gillian Henderson, Clinical Pastoral Supervisor with ASACPEV Inc., at a very moving Requiem Eucharist and Service of Thanksgiving held in honour of Roy at St. Philip's Anglican Church in Collingwood on Monday September 4. 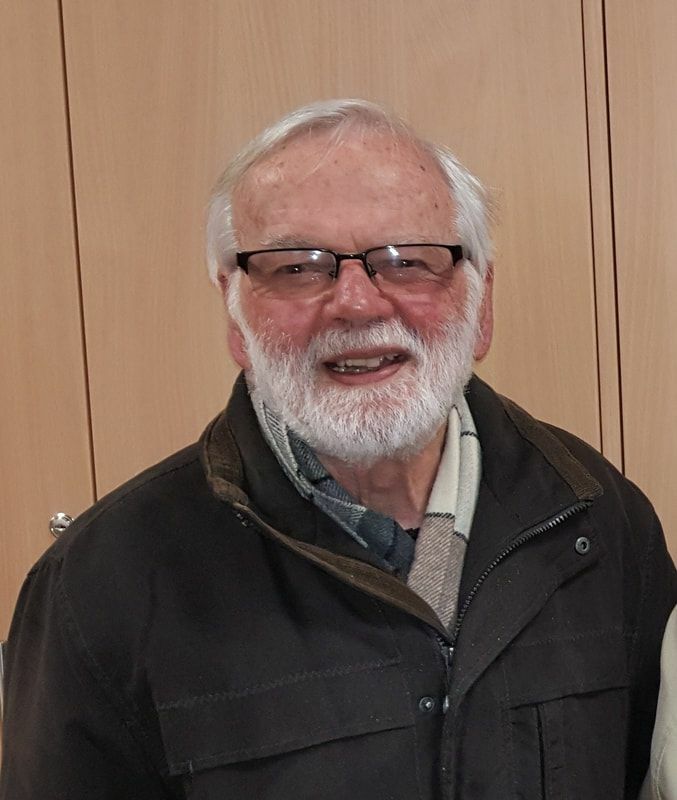 Roy's wonderful pioneering work has also been honoured with a tribute page on the website of the Australia and New Zealand Association for Clinical Pastoral Education. It is great for me to be standing here, and truly a privilege as I experience it, to deliver this President’s Address for the 27th Annual General Meeting of our Association, the Association for Supervised and Clinical Pastoral Education in Victoria Incorporated. It is great because I did not take for granted that this would be the case as I began and negotiated my ascent into the Presidency. I felt from the outset that this was a special project given me and a full-time job and I wanted to give it that special time, alongside support of my parents experiencing an ageing transition. As they have found themselves in recent times in hospital or respite care/rehabilitation, I have been taken into clinical areas and meetings and this has been significant for my vocation also and revealing of the work that we do and seek to promote in Pastoral Care. ​ASACPEV Inc exists to educate and accredit both lay and ordained women and men for their excellence in pastoral practice. These goals are achieved by providing supervised pastoral education, professional support and recognition of its members. Recognition of Supervised Pastoral Education (SPE) in all its diversity while always drawing inspiration from the Association's main form of SPE in Clinical Pastoral Education. The continuity of education and learning through the cycle of action and reflection on the experience of pastoral practice and relationships. Reverence for and recognition of the potential of the human person for transformation, while also recognising the reality of evil and human fallibility. Rigorous professional standards and the application of these standards in the supervision and monitoring of pastoral practice. Recognition of personal responsibility for the taking up on one's own life and ongoing growth. Belief in the spirituality of each person and the fostering of personal freedom within the relationship between human beings and thier spirituality. the welcome of interfaith membership of the Association. Furthering the integration of theological reflection in all spects of the life of the Association. ASACPEV Inc will be renowned and sought out for its outstanding ecumenical supervisory practices, promoting both established and leading edge pastoral practice whether to individuals, communities or institutions. Executive Committee is responsible for decision making on behalf of the Association and reports to the Annual General Meeting. Special Projects Committee is convened to undertake Special Projects as required by the Executive. In 2003 ‘A Finger Pointing to the Moon’, a history of the Association for Supervised Pastoral Education in Australia 1967-2000 was published. See History of ASACPEV Inc for details.